Happy black famille à la maison. 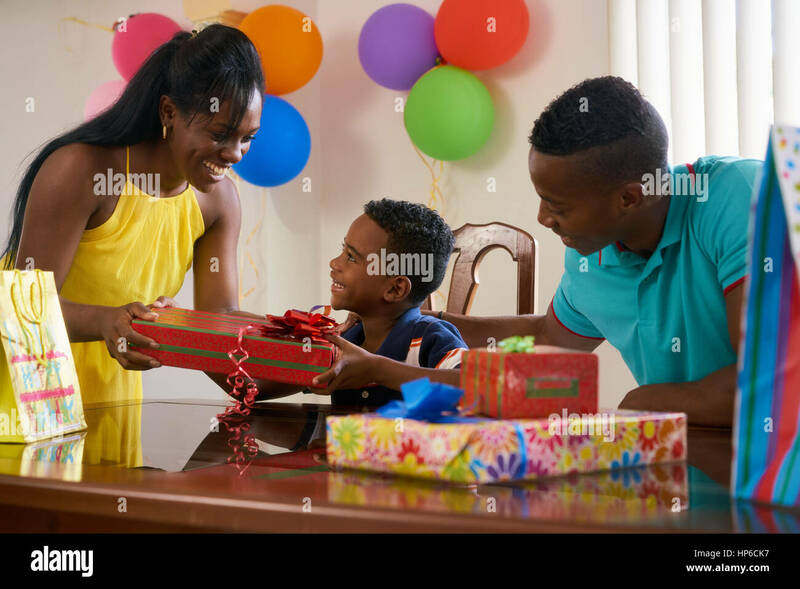 African American father, mother and child celebrating birthday, s'amusant à partie. Young woman giving gift en fils.